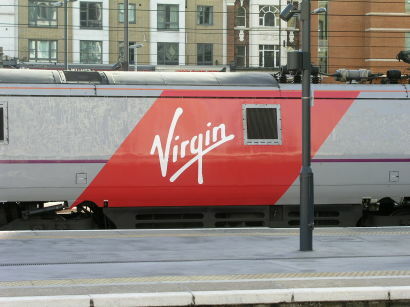 THE failure of the Virgin Trains East Coast franchise has left transport secretary Chris Grayling in a dilemma, with no way forward announced so far. Continuity of services has been guaranteed, but the future of the contract is unknown. The RMT has called for immediate renationalisation, while Labour is bitterly critical of the government’s handling of the crisis. Keeping the present franchise until 2020 no longer appears to be an option, although Mr Grayling had said that was the agreement as recently as the end of November. With 90 per cent shareholder Stagecoach group facing a reported deficit of £200 million over East Coast, a much earlier termination of the present contract now seems inevitable. RMT general secretary Mick Cash said: “On Monday Chris Grayling told the Commons that Virgin/Stagecoach would be allowed to lurch on for a few more months on the East Coast, he also said that staff would notice no difference and that all options for the future, including the public sector option, were under consideration. Mr Grayling could revert to the previous arrangement and run East Coast via the DfT subsidiary Directly Operated Railways, which was in charge between 2009 and 2015, or allow Stagecoach and Virgin to continue for the time being on a ‘not for profit’ basis, with a one-off management fee payable when they surrender control to the DfT or a successor franchisee. Labour’s shadow transport secretary Andy McDonald accused the government of propping up a ‘crumbling system’, and Mr Grayling in particular of misleading the House of Commons. Mr McDonald said: “Chris Grayling should and could have banned Stagecoach from the rail industry for defaulting on its contract. His claim that there is ‘no record’ of any previous ban is false. Labour banned National Express in 2009 and he should have done the same. Chris Grayling should apologise to Parliament and retract his statement.